I love burgers; I love meat and I love cheese. 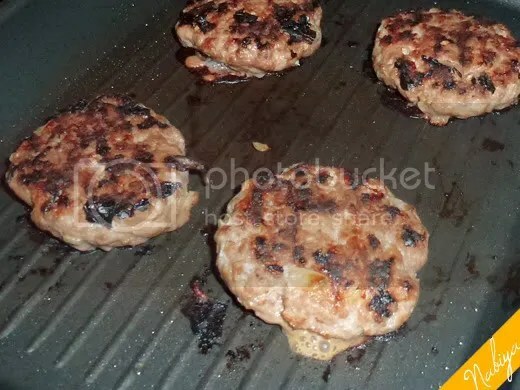 I’ve been craving burgers almost everyday of this fasting month, and considering I dislike crowds, waiting, and flat mass-produced burger patties, I decided to make my own patties! 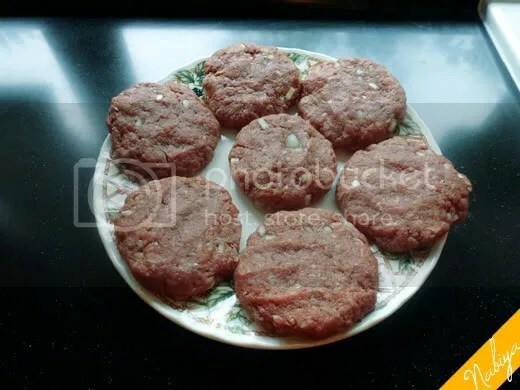 Two weeks ago, I made a beef and zucchini burger, but didn’t manage to take any pictures. I will simply have to recreate that recipe so I can share it with you good people *sigh* it’s a hard knock life. Last weekend, however, I made a burger patty using a different recipe. It’s really fun to try to make your own burger patties, especially when I can put in whatever the hell I want to! It turned out quite well, though a bit small (I realise now that I should have made it bigger as it’ll shrink with the heat). Am definitely going to try this one again next time we have a barbecue. 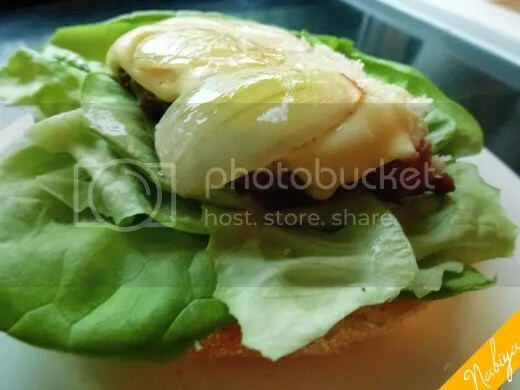 Serve up on your bread of choice (I used an english muffin), with some fresh, crisp lettuce, onions, sauteed mushrooms, and Heinz ketchup. It has to be Heinz.